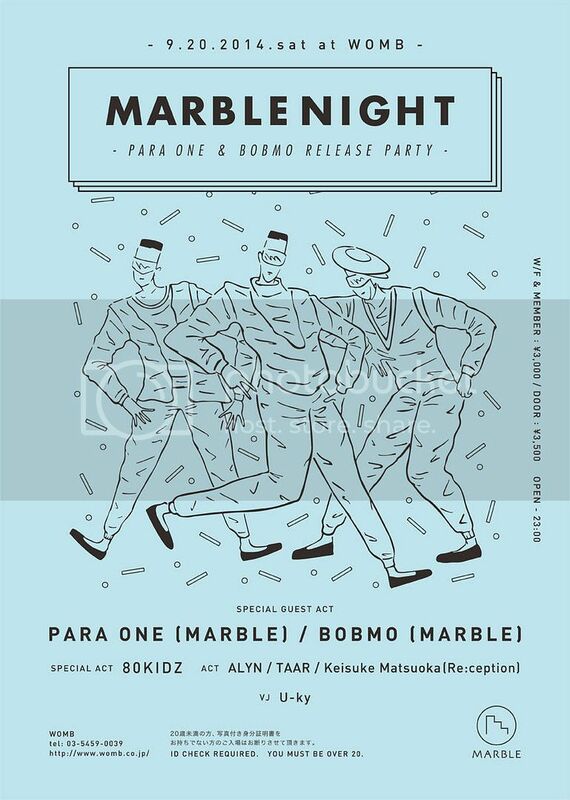 Announcing an official party by Marble, a French label created by Para One and Surkin, an artist who also boasts unmoving popularity in Japan. This fantastic event will constitute a double release party for Para One's new album Club, which was released in July, and the new debut album New Dawn released in June by Bobmo, a new young artist in the electronic music scene. Para One and Bobmo will be coming to Japan to perform together at this great event! Para One's album Club is comprised of songs from his fantastic hit album Passion, remade by himself especially for the dance floor, with tunes that reached the top positions straight after their release in the music charts such as iTunes. Bobmo's debut album New Dawn contains a collection of songs featuring Para One and Surkin, as well as Hercules & Love Affair's Shaun J. Wright. The track that was launched first, "When I Look feat. Shaun J. Wright" has become a hot topic, as well as this summer's anthem within the electronic music scene.